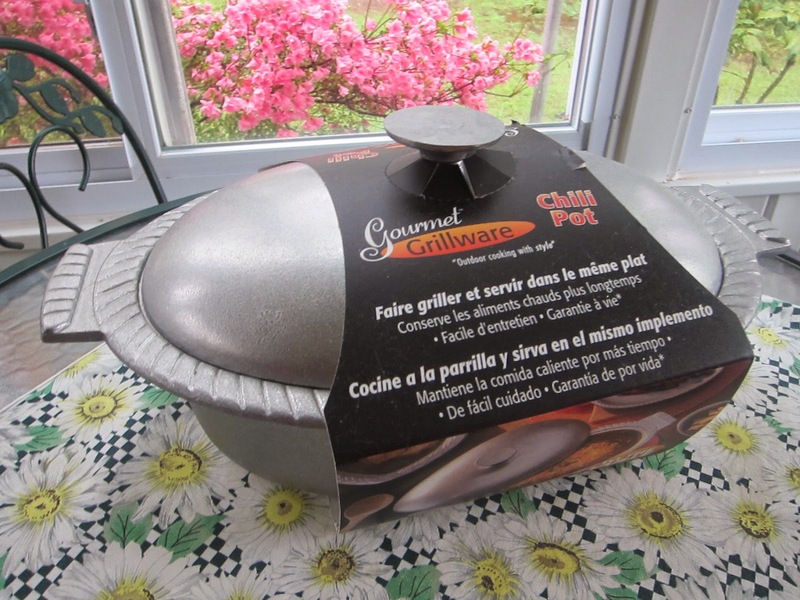 Kristen contacted me to see if I'd like to test out one of their grillware products in exchange for an honest review. Since I already have the Wilton Armetale barbecue grill wok which is one of my favorite pieces of all times, this was a no brainer. Unless they'd done something different to the line, I knew this would be a barbecue piece I'd use and treasure. 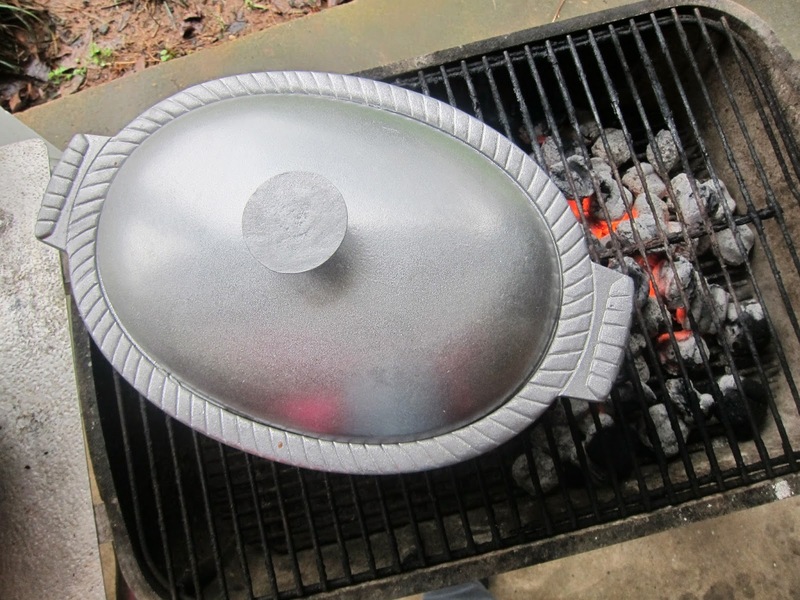 What I love about this BBQ Gourmet Grillware product line is that the metal is heavy duty like cast iron and holds the heat like you would not believe, but you don't have to worry about rust. My wok looks new after a couple of years. Very impressive. I use mine on the grill, but you can also use them on the stovetop and in the oven up to 1000 degrees. Wilton Armetale believes in their products. They offer a lifetime warranty against breakage under normal conditions. 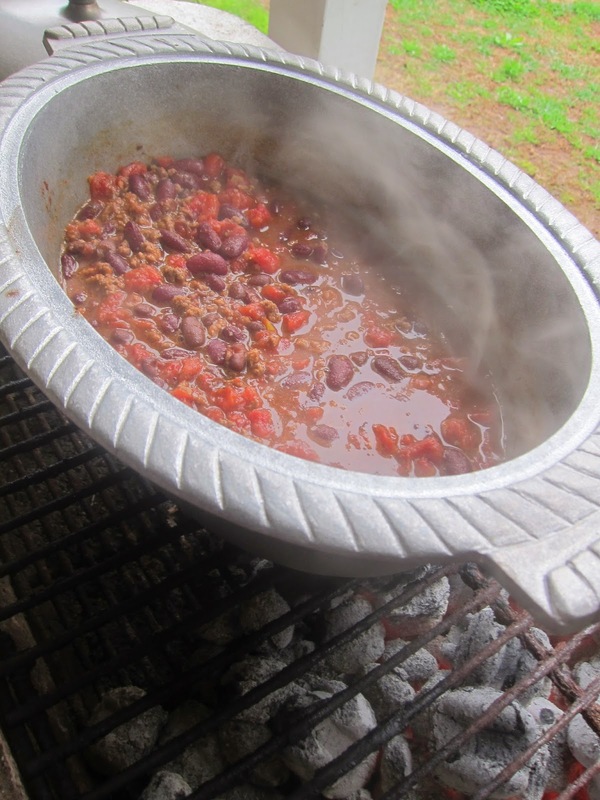 The chili pot is really pretty as you can see, and it's perfect to serve from right off the grill. Do use potholders as the metal (as I mentioned) has excellent heat retention. Here is a small batch of chili I made with my son in from college this weekend. It's actually a tex mex chili. One of our favorites. Well, you can't see the chili with the lid on, so here's the chili right before I took it off the grill for my always hungry son. Yum. Chili Dinner Right Off the Grill. If you're interested in the recipe, it's at my Yes You Can Cook as Taco Soup. As you can see, it looks more like a chili. The seasonings give it that taco kick. I get to try out a lot of great products (and a few duds) as a barbecue blogger. Now and then I come across a brand that I stand behind 100%. Wilton Armetale is one of those. They look a little expensive, but when you consider how pretty they are, how well they work, and that they are a lifetime investment, I can't think of anything I'd change (other than I wish I owned the whole collection - perhaps some day though).